Mr Abhay Nevagi started his career as Personnel Manager in Menon and Menon Limited, Kolhapur and was looking after a workforce of more than 1500. 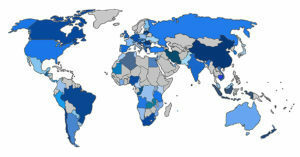 Technology Transfer Agreements between Premium Transmissions and various European MNCs. 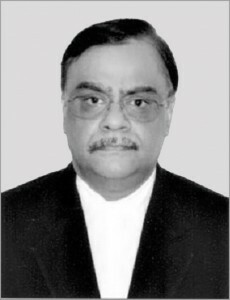 Mr. Nevagi has appeared in various types of Civil matters like Recovery Suits, Rent Act Matters, Matrimonial Matters, Adoption Matters, Appeals / Revision in District Court, Accident Claims, Injunction Matters, appeared before State as well as District Consumer Forum, State Electricity Regulatory Commission, Appellate Tribunal of Electricity. He has also appeared in various criminal matters such as Trials under Indian Penal Code, theft of electricity, misappropriation, criminal matters under Provident Fund Act, Anticipatory Bails, Criminal Revisions and Appeals. Being an expert in labour, employment & industrial matters he has appeared before the Labour & Industrial Court besides the High Court / Supreme Court and other Forum as well. Abhay Nevagi has also carved out a niche for himself in the field of electricity laws. He has advised the Maharatta Chambers Of Commerce, Industry and Agriculture (MCCIA) at Pune and has represented the Chambers before the Maharashtra Electricity Regulatory Commission (MERC), the Appellate Electricity Tribunal, Delhi and Hon’ble Supreme Court of India. He successfully prepared and implemented Rehabilitation Schemes of many clients before Board for Industrial &Financial Restructuring. While appearing before the Appellate Authority under Sick Industrial Companies (Special Provisions) Act, 1985, the Appeal of the Unsecured Creditor was allowed and the Creditor was given relief at par with Secured Creditors. Abhay Nevagi joined CBA in March 2015 as M&A Adviser, Legal Expert and Consulting Professional on recommendation of our Associate in Switzerland.